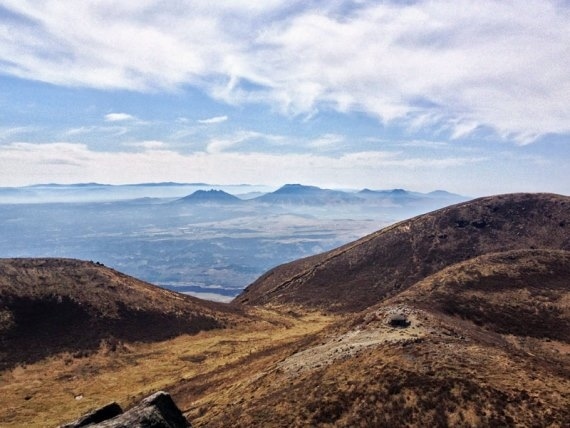 Climb the volcanic mass at the centre of the huge and stunning Aso Caldera, taking in its highest point, Taka-dake. Superb and fascinating walking. 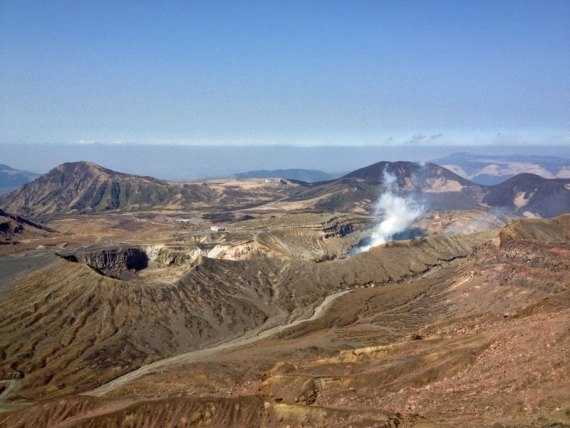 The Aso Caldera could be mistaken for merely a wide fertile plain, but it is a huge collapsed volcano (caldera), included one of the world's largest, with a large multi-faceted volcano, Mount Aso, the most active volcano in Japan, at its heart. 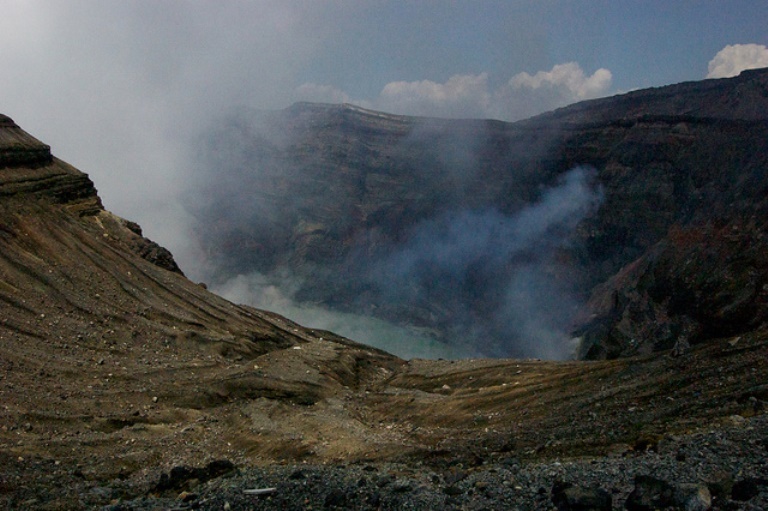 Mount Aso has multiple peaks, craters, and vents, and is perpetually belching sulphurous steam. 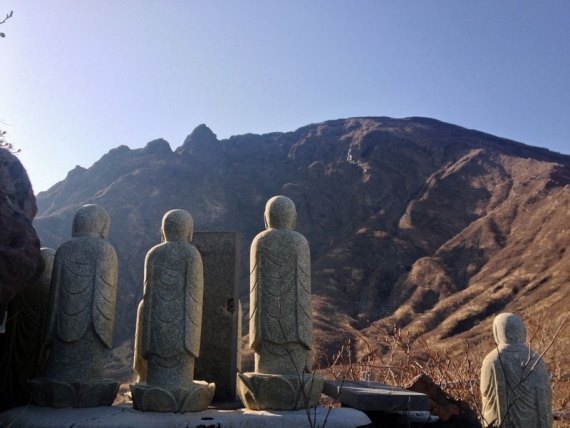 Taka-dake is its highest excrescence at 1,592m. The climb winds up through extraordinary volcanic desolation, past huge craters and spectacular colours and formations. 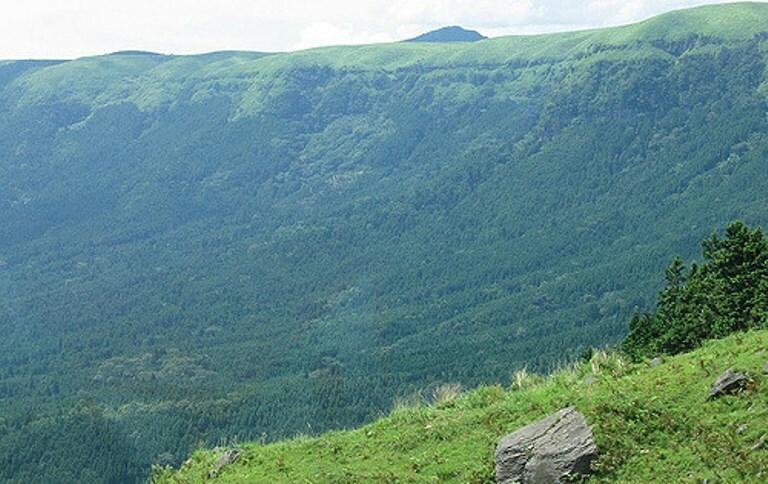 At the top you get huge all-round views of the green caldera floor and the surrounding mountains. Best months: Spring to Autumn. Rainy season is very wet. A section in Lonely Planet's Trekking in Japan. Find relevant books on Amazon. 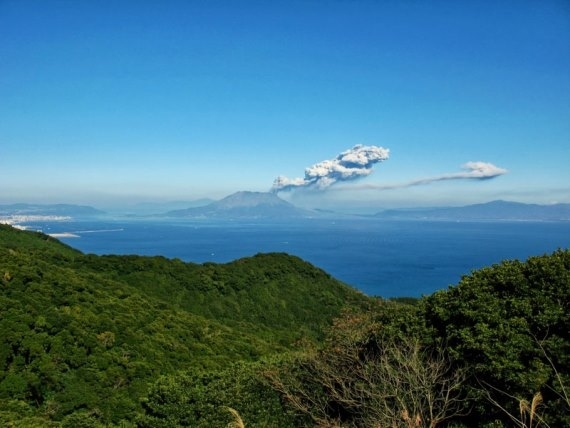 Our friends Walk Japan do an excellent sounding Kyushu expedition which includes both this area and the very special island of Yakushima.